The first, and most important thing to do, is to get your current home in tip-top shape for the market. 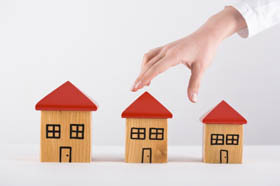 It is difficult to get qualified for two mortgages – even more so in a slow market. Remember that a time frame can influence the factor of the actual selling price of your home. That is why it's important to have an experienced professional helping you with the transition and the timeline organization. We want to make sure that when you find your dream home that you are positioned as well as possible so you can move forward with ease.